Finnis Architects designed The Esplanade House, a residence with seriously elegant modern facade, gorgeous landscaping around the house and cozy contemporary interiors. Take a look. An award-winning studio seems to have plenty of experience in designing beautiful modern homes, according to their lovely and inspiring website. 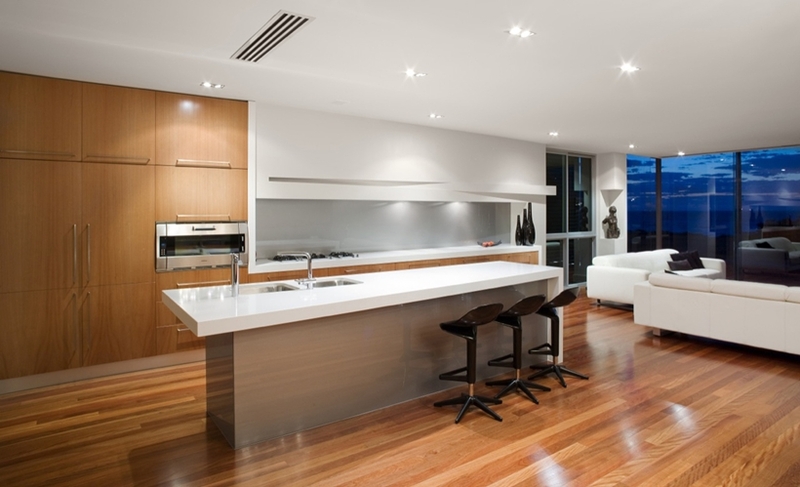 The Esplanade House is just one of many successful projects in their portfolio. 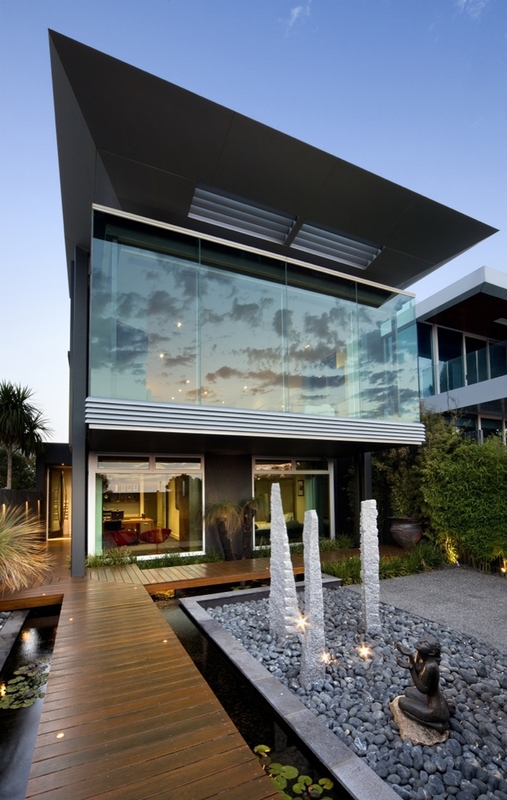 First thing I noticed and probably the most impressive thing about this home is its gorgeous modern facade. Facade is often the only factor that will create first impression of your home. Do you want your home to look elegant and powerful? 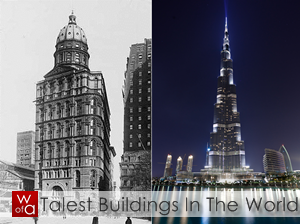 Hire Finnis Architects. Next thing that attracted me to this house, besides its modern facade, is landscape design around the house. 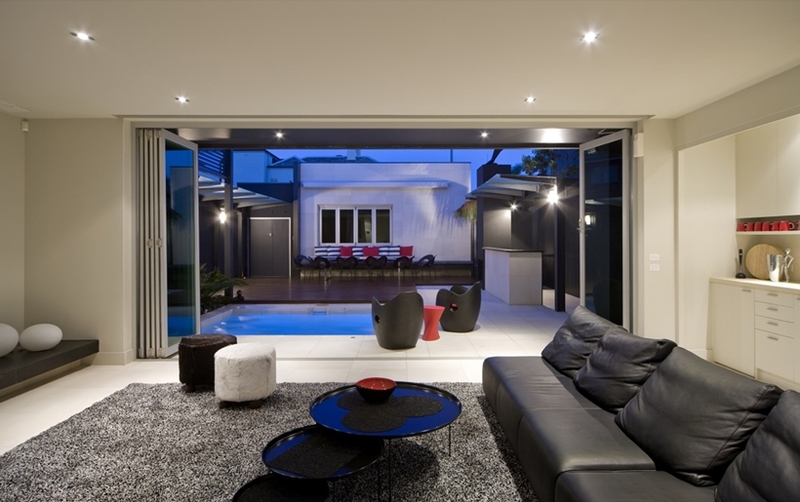 Very well done, designed to blend with facade, and to make home look luxury. You know, ponds, lights, sculptures, etc. Rear elevation and backyard are a little bit less impressive, but still way above many homes around us. 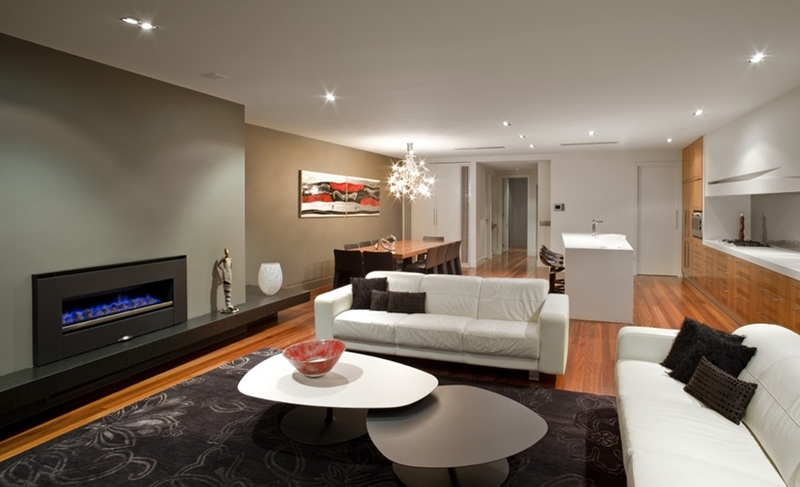 Interiors are designed in kind of typical Australian modern style; bright, minimalist, elegant and very comfortable. Great job Finnis Architects! 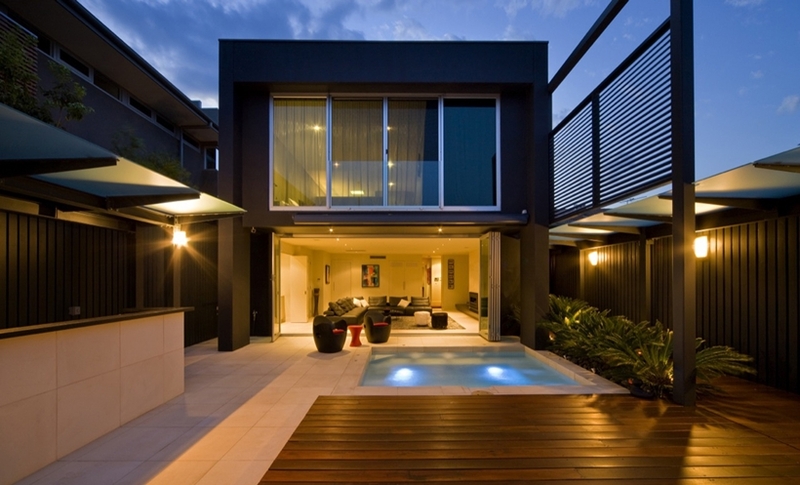 So, what do you think about this home, specially its modern facade? Do you like it? Would you change anything? Let me know in the comment section below.